I'm offline celebrating with my family. I'll be back online next week. 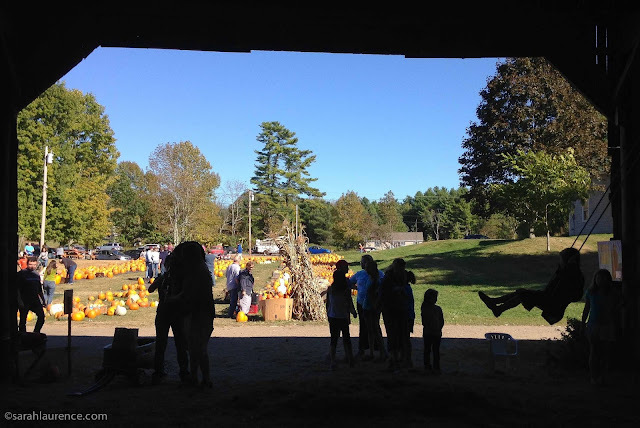 Corn stalks and haybarn at Rocky Ridge Orchard in Bowdoin, Maine. Last week's terrorist attacks in Beirut and Paris should raise - not diminish - compassion for refugees. 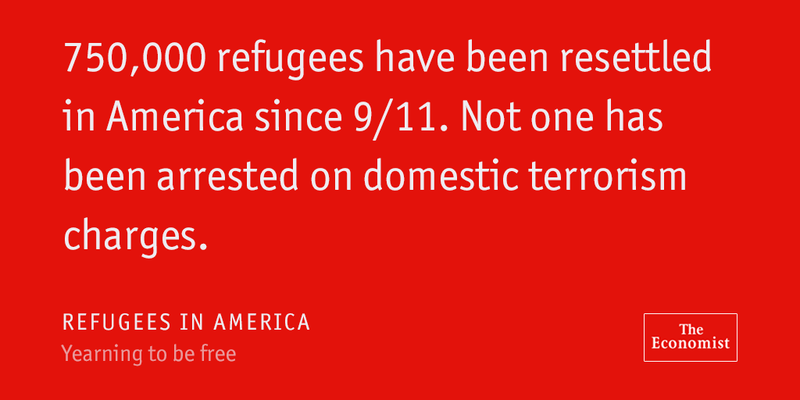 Now is not the time to close our borders against the Syrian refugees who are fleeing these very same terrorists. Most of the global victims of terrorism are Muslims. None of the 750,000 refugees who have resettled in the USA since 9/11 have been arrested on domestic terrorism charges (source: The Economist). The terrorists win twice if they can rob us of compassion along with lives. 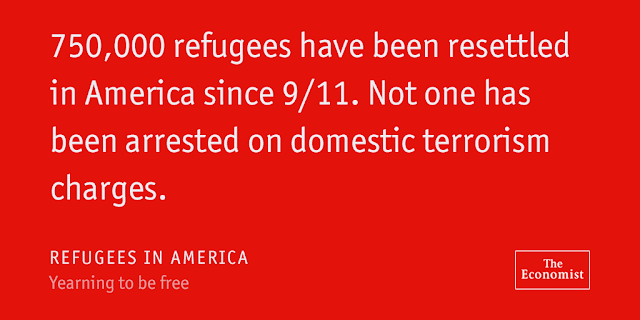 How can we reverse this rising wave of xenophobia? Books can help increase empathy. I've chosen one historical book and two young adult novels that could be used in the classroom to help young people understand the plight of refugees. If you have other books to recommend, please leave a comment. I'd especially like one about Syrian refugees. Some countries have learned from history. Germany is welcoming a million refugees, but the USA is only accepting 10,000. Our low quota reminds me of World War II when many Jews fleeing the Nazis were not allowed into the USA. My great grandfather Arthur Lamport and other American Jews raised funds to help Jewish refugees resettle in the Dominican Republic. 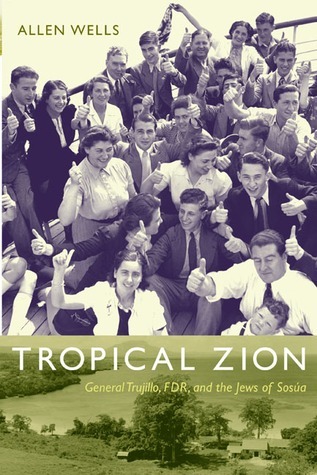 That true story is told in Tropical Zion by Allen Wells (2009), a history professor at Bowdoin College. 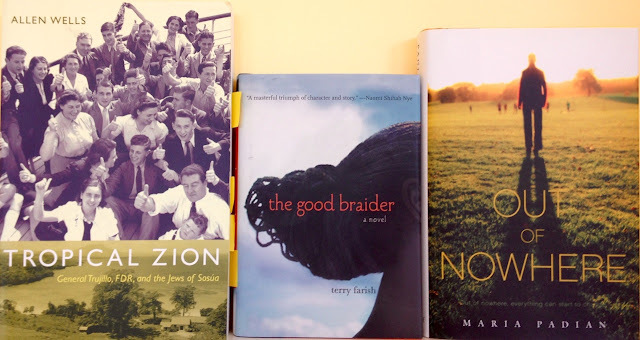 Nonfiction has the facts, but reading literary fiction has been proven to increase empathy. In a good story, we experience what the characters are feeling. 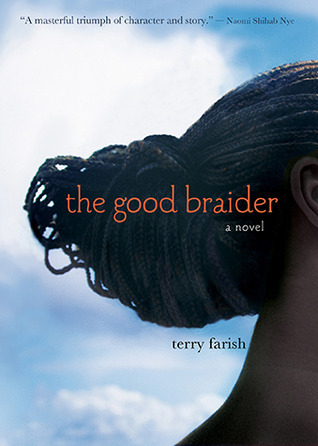 The Good Braider by Terry Farish (2012) is a romance between a South Sudanese refugee and an American boy. I don't usually like novels in verse, but this one spoke to me, especially the parts set in Africa. Farish's novel traces a girl's escape from civil war in Sudan to limbo in Egypt and finally to resettlement in Portland, Maine. My only concern was that the abusive mother might give young readers a warped impression of Sudanese immigrants; most have integrated well in Maine and are dedicated to their families. Understandably, wartime trauma can lead to psychological problems so the mother was a believable character. Farish's novel touched me on a personal level. My children went to school in Portland with many immigrant children. My son's high school girlfriend was born in a Sudanese refugee camp in Kenya and resettled with her family in Portland. She graduated from Waynflete School with honors and is now attending Wesleyan University through Questbridge. We invited her family to share Thanksgiving in our home; it was their first after many years in the USA. Before you form an opinion on refugees, get to know one. Remember that the USA is a nation founded on immigration. 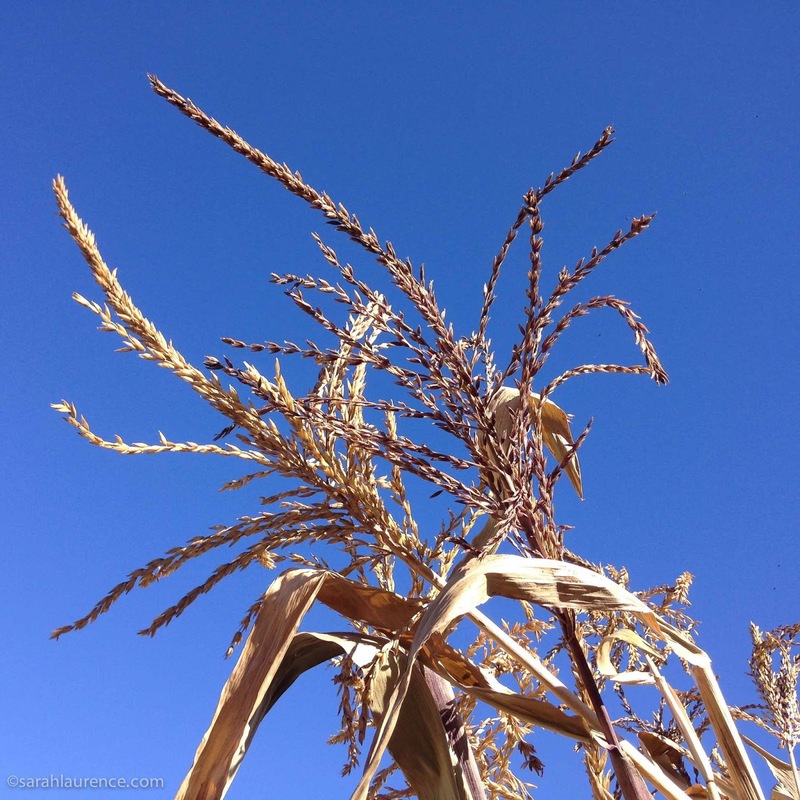 Another refugee story that is set close my home is Out of Nowhere by Maria Padian. 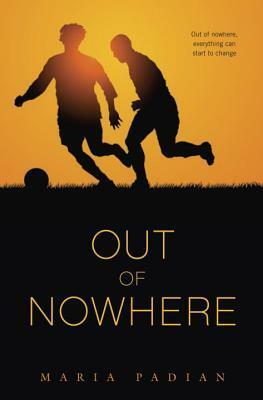 This excellent young adult novel was inspired by true events in Lewiston, Maine. The book was released in 2013 in hardcover and is now available in paperback. Soccer fans will love it. You can read my review here. One Team: The Story of the Lewiston High School Blue Devils from LHSOneTeamFilm on Vimeo. Reviewer's Disclosure: Allen Wells is a colleague of my husband at Bowdoin College and his wife taught our daughter history. My dad sent Tropical Zion to me without realizing that we knew the author. I'm friends with author Maria Padian and borrowed a galley for review purposes. I bought both young adult novels from indie bookstores and was not compensated for my reviews. 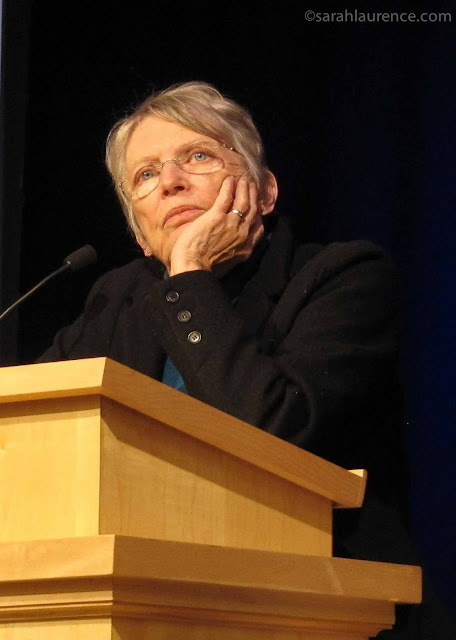 Author Lois Lowry listening to a question from a Bowdoin student. 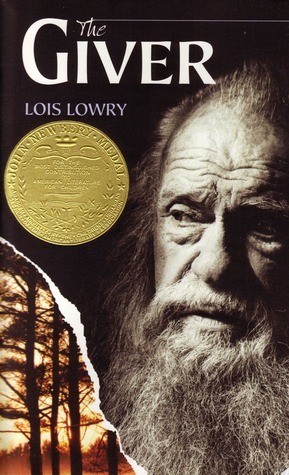 My son introduced me to Lois Lowry. He'd read The Giver for sixth grade English and thought I would like it. I loved it. Lowry's dystopian novel reminded me of George Orwell's 1984 and Animal Farm, but The Giver felt darker because it's a children's book. The evil overlords weren't faceless bureaucrats or talking pigs but trusted parents and teachers. A boy who learns the truth must fix a world ruined by his beloved elders. This 1994 Newbury Medal winner defines the Millennial generation. It's a perfectly crafted novel with ageless appeal. The Giver was also one of the books that motivated me to write young adult fiction. 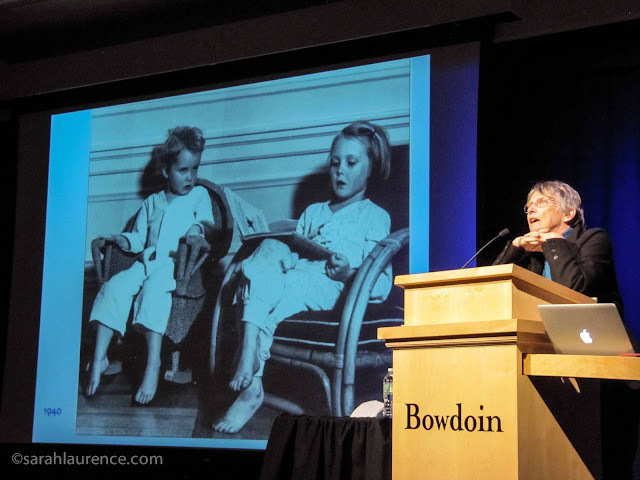 Speaking at Bowdoin College two days ago, Lowry shared her inspiration for The Giver. Her father was suffering from dementia and failed to recognize a photo of his deceased daughter. Lowry had to remind him about what happened to Helen over and over again. She became his memory keeper and a book was born. In The Giver a dystopian society has chosen to forget the evils of the world. Only the Giver remembers everything, and in his old age, he must pass all those memories onto his young disciple. The truth nearly breaks Jonas, a 12-year-old boy who must act as a man. Although best known for The Giver, Lowry has written over forty children's books. Her first novel, A Summer to Die (1977) was inspired by the death of her sister. Her favorite is Autumn Street (1980), an homage to her grandparents' cook whose child was murdered. Number the Stars, set in Denmark during World War II, won her first Newbury Medal in 1990. She has also written lighter, humorous books for young readers. According to Lowry, the theme that unites all her work is reconciliation. The author at age three getting a reading lesson from her six-year-old sister Helen. Lowry's personal story was interesting too. Born on Hawaii Island in 1937, Lowry moved to New York City right before the bombing of Pearl Harbor. Her father was General MacArthur's dentist so the family relocated to Japan during the Occupation. In Washington D.C., her dad cared for the Nixon family teeth. Back in New York City, Lowry won a national poetry competition, which earned her a writing scholarship to Brown. When the poetry book was published, Lowry was horrified to learn that her high school teacher had rewritten her poem. Like many women in the 1950s, Lowry dropped out of college to get married. 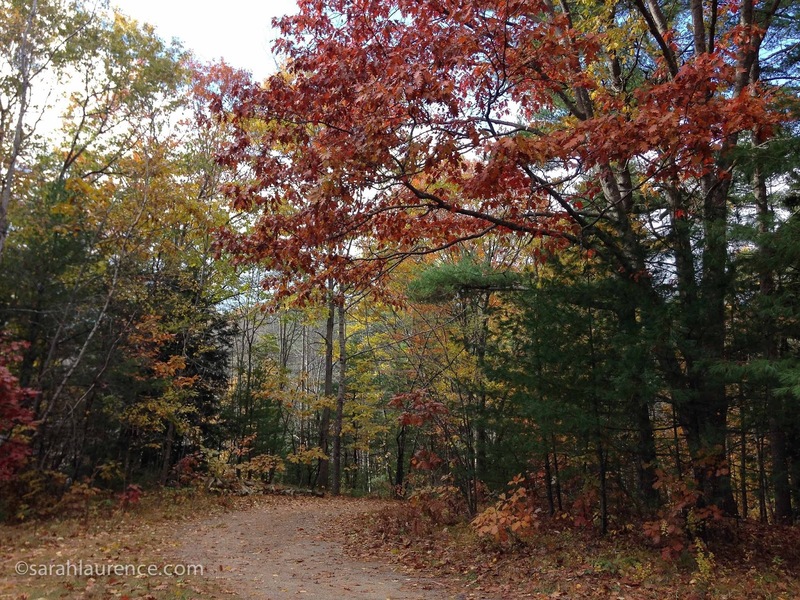 She later completed her education while raising four kids in Maine. Her first book was published when she was forty. Lowry now has a graduate degree, several honorary degrees (including one from Brown), two Newbury Medals, and four grandchildren. At age seventy-eight she is still writing new books. Questions for Lois Lowry from the audience at Bowdoin College. Lowry writes children's books because "kids are changed by what they read." 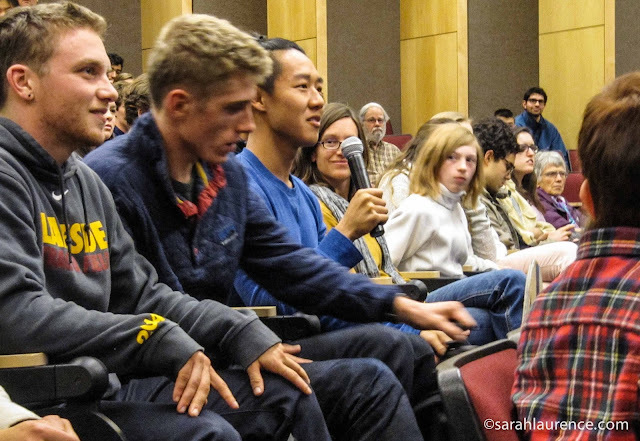 She shared some reader emails and answered the questions of the enthralled Bowdoin students in the audience. Her responses were heartfelt and often hilarious. I'd gone to Lowry's talk with young adult author Maria Padian, and what surprised us the most was how funny Lois Lowry was in person. Lowry shared family photos, news clippings and book covers. A photographer myself, I was impressed to learn that the iconic cover photo of The Giver was one of hers. I remember the challenges of SLR cameras and darkroom photography before Photoshop. She is clearly a woman of multiple talents. I left Lowry's talk feeling inspired. Simpson's Point in Brunswick, Maine at sunset. 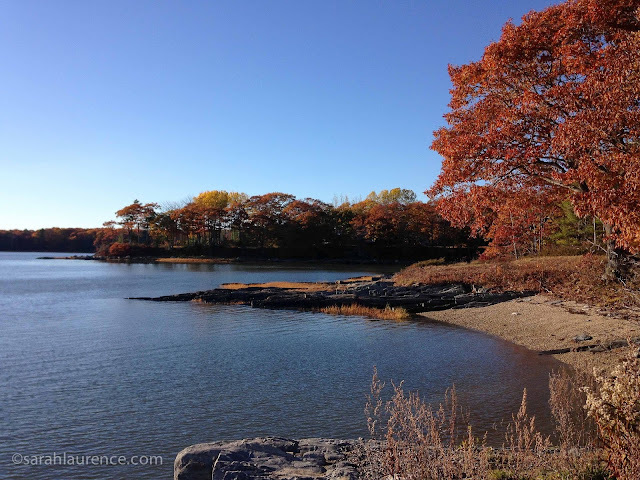 Simpson's Point where I watch bald eagles, ospreys and great blue herons catch fish. 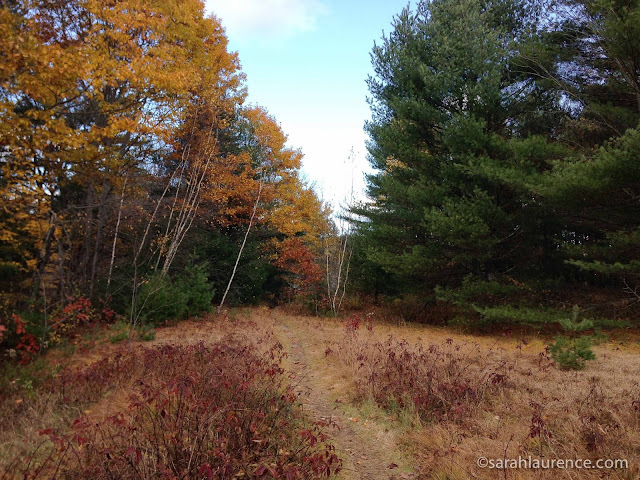 It may sound strange to pair a nature memoir with a young adult novel, but both of these books deal with the death of a beloved father. They describe mourning and depression but aren't depressing to read. 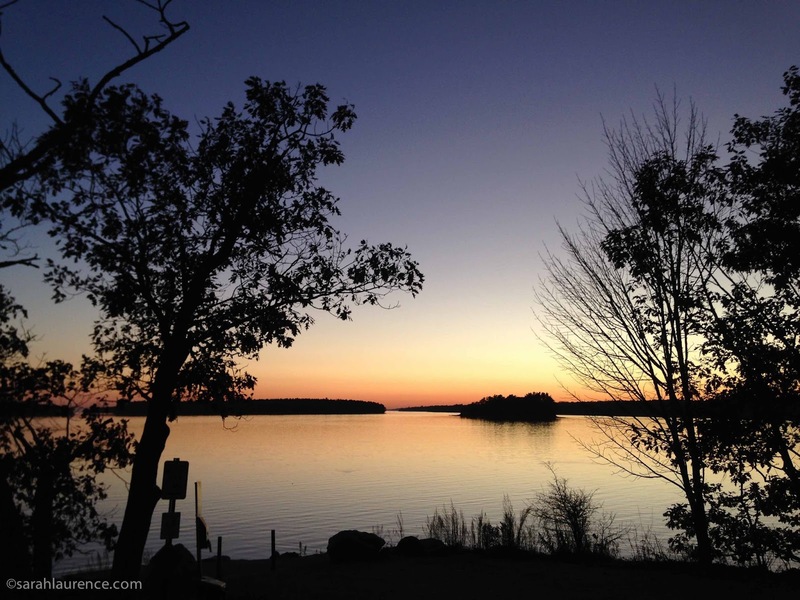 Grief is acknowledged with emotional honesty and described with poetic beauty. These marvelous books celebrate life and resilience more than death. 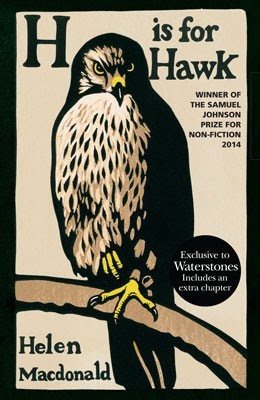 H is for Hawk by Helen Macdonald is a memoir about taming and training a goshawk. The author notes the irony of trying to overcome grief with a creature who lives to kill. Unhinged by her father's death, Macdonald is drawn to raptors - more than to people - for comfort. "The hawk was everything I wanted to be: solitary, self-possessed, free from grief, and numb to the hurts of human life." "The archaeology of grief is not ordered. It is more like earth under a spade, turning up things you had forgotten. Surprising things come to light: not simply memories, but states of mind, emotions, older ways of seeing the world." 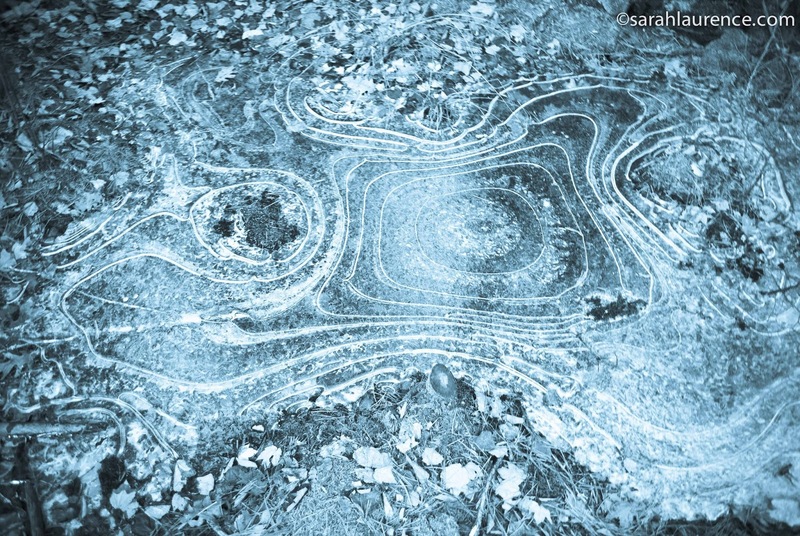 "It's turned cold; cold so the saucers of ice lie in the mud, blank and crazed as antique porcelain." "I glance up. And then I saw my goshawks. There they were. A pair, soaring above the canopy in the rapidly warming air. There was a flat, hot hand of sun on the back of my neck, but I smelt ice in my nose, seeing those goshawks soaring. I smelt ice and bracken stems and pine resin. Goshawk cocktail. They were on the soar." "I loved romances because when you opened the first page, you knew the story would end well. Your heart wouldn't be broken. I love that security, that guaranteed love....In real life, you never knew the ending. I hated that." "He didn't find small things important: returning texts, charging his phone, being on time, punctuation." "She wore green pants that sat high on her skinny waist, and a green blouse buttoned to the neck. Her hair frizzed out sideways. She looked like a stalk of broccoli. Broccoli with glasses." "You never stop missing them. It was a simple thing to say. But I'd never heard anyone say it before. Not the grief counselors. Not my mom. Everyone seemed to think the opposite: you moved on, you forgot, it was impolite to keep talking about it." 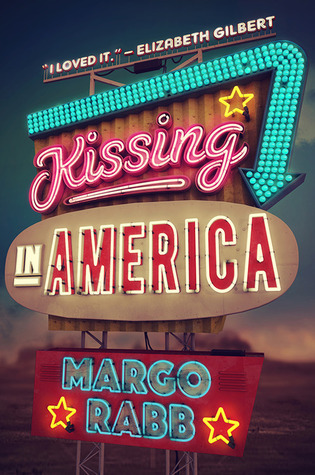 For a book called Kissing in America, there wasn't much kissing. The content was quite tame for young adult fiction. Even the road trip was chaperoned. Although I adore the Americana cover, I wish the book had a less misleading title. Love was explored in multiple dimensions: family and friendship as well as romance. Relationships were realistically messy and well developed. There were no easy fixes, but this book ended with hope. I'd strongly recommend Kissing In America to grieving teenaged girls or to anyone who has lost a loved one. The literary style would cross over well to adult readers. Reviewer's Disclosure: H is for Hawk was a birthday gift from my husband, purchased at the Wallingford Bookshop in England. It's also available in the USA in hardcover. I bought Kissing in America at the Harvard Book Store in the other Cambridge, USA. I was not compensated for my reviews. All photos are from my part of Maine: a tidal estuary at Simpson's Point, an ice puddle at Morse Mountain, and in the woods near my home last week. I wish I had a photo of the red tailed hawk who occasionally visits our yard.